Mickleton, Gloucestershire, circa 1910. Mickleton is the northernmost village in Gloucestershire. 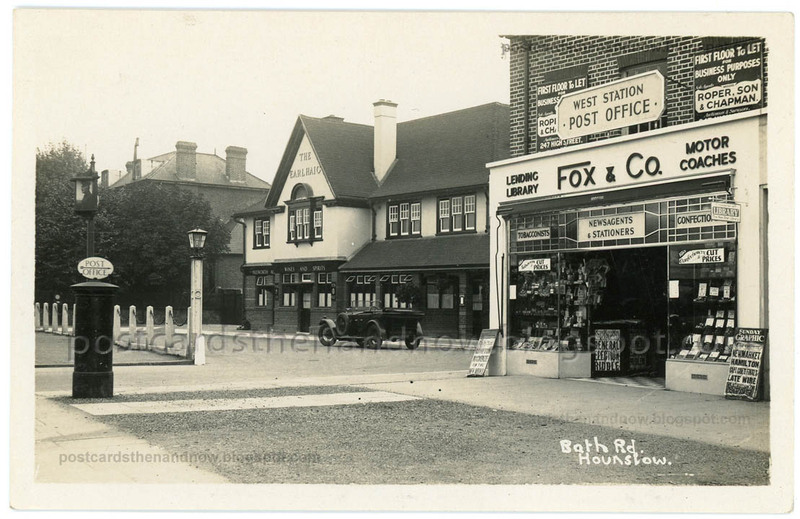 The building on the left in the postcard has been replaced by a modern building. 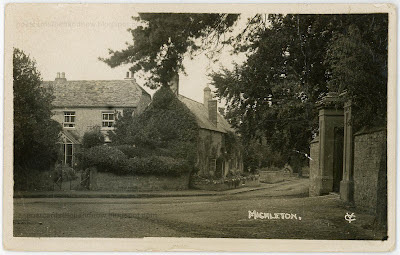 Postcard by Young and Co. of Teddington. Click the postcard to enlarge. 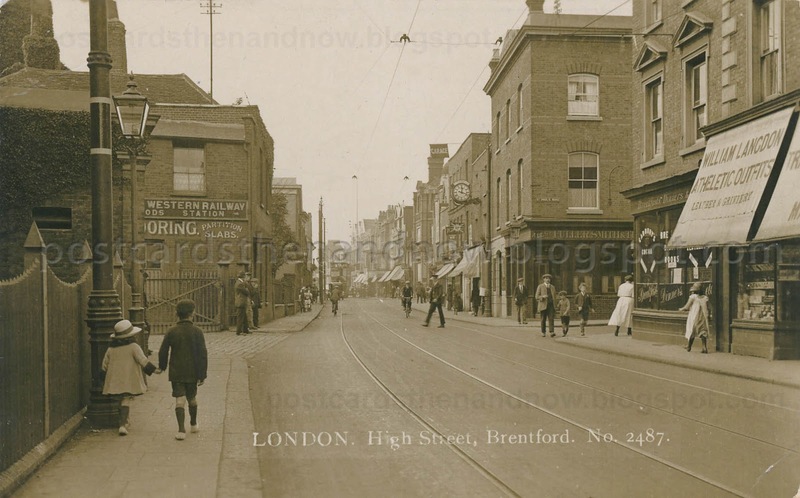 Brentford, Middlesex, The High Street circa 1922. 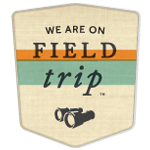 Almost nothing in the modern Google Street View has survived from the postcard's time. 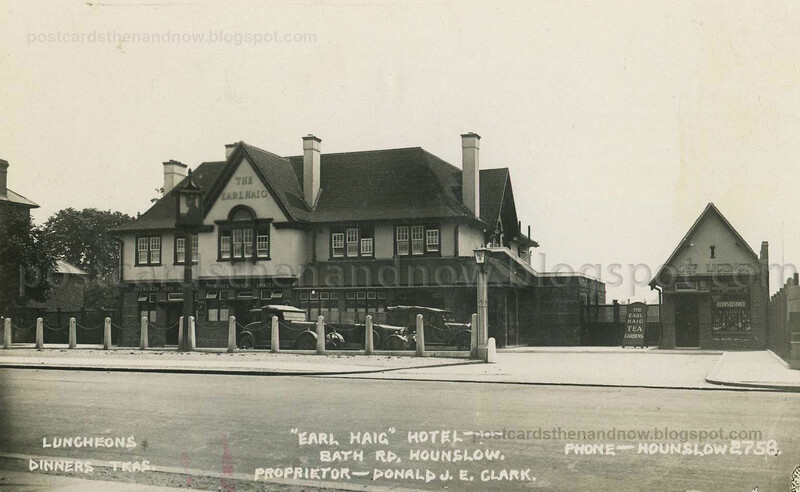 I had to use the excellent Brentford High Street Project website to identify the location of this postcard. There is a picture from 1981 on the Brentford Dock website which shows the building on the left of the postcard in its last days. There is an old looking building in the Google Street View on the left - you can just see its roof on the old postcard. 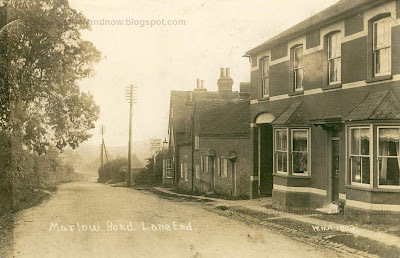 The pub on the right was called 'The Feathers'. 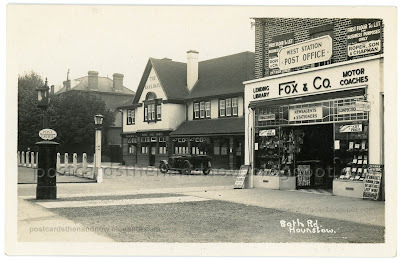 The postcard was published by the well-known publishers C. & A. G. Lewis of Nottingham. Click the postcard for an enlargement (300dpi). 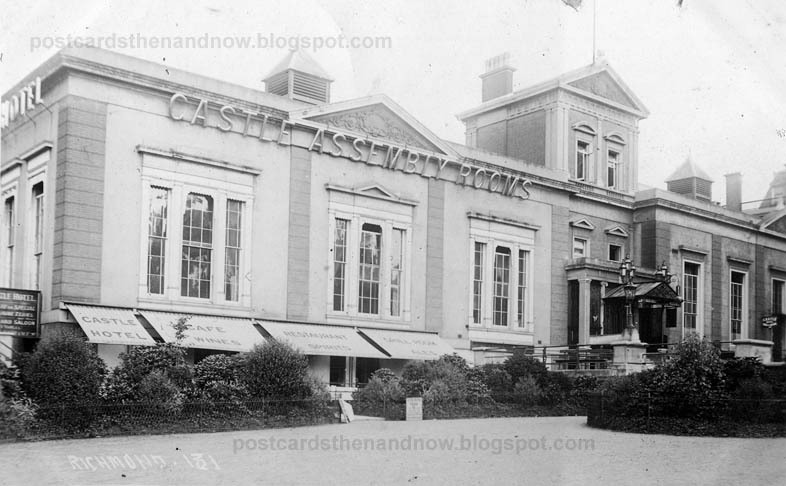 Richmond, Surrey, The Castle Hotel, Baby Jumbo and Baby Jimbo of the Daily Mirror, circa 1912. About a hundred years ago the Daily Mirror newspaper imported into Britain two baby elephants, to be used for promotional purposes. Postcards of them come up occasionally on eBay. They appear to have been used to promote all sorts of events, from early aviation displays to opening restaurants etc. Nowadays we have 'celebrities' with orange skin, tattoos and gleaming teeth to do this sort of thing. I haven't been able to find out much information about these two elephants. It looks like Baby Jimbo died first and Baby Jumbo was left on his (or her) own to carry out the promotional duties, dying a little later. Neither elephant made it to adulthood. Elephants fare better in their native habitat, not freezing cold England. 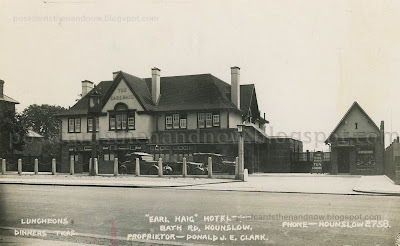 This postcard was taken outside the old Castle hotel in Richmond (also shown in another view below the elephants in a postcard by Bell photo of Harlesden). It was knocked down in the 1980s. Ebay's UK head office now occupies the site where these elephants were photographed. 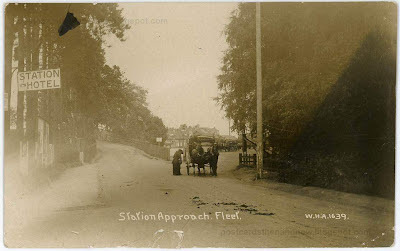 The postcard was photographed and published by Lovell Smith of Richmond. 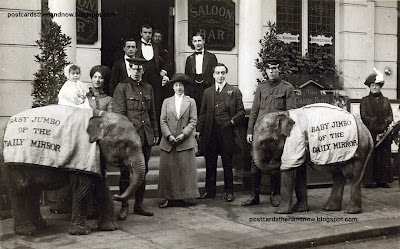 For more old photos visit the Sepia Saturday blog, where the theme this week is elephants. 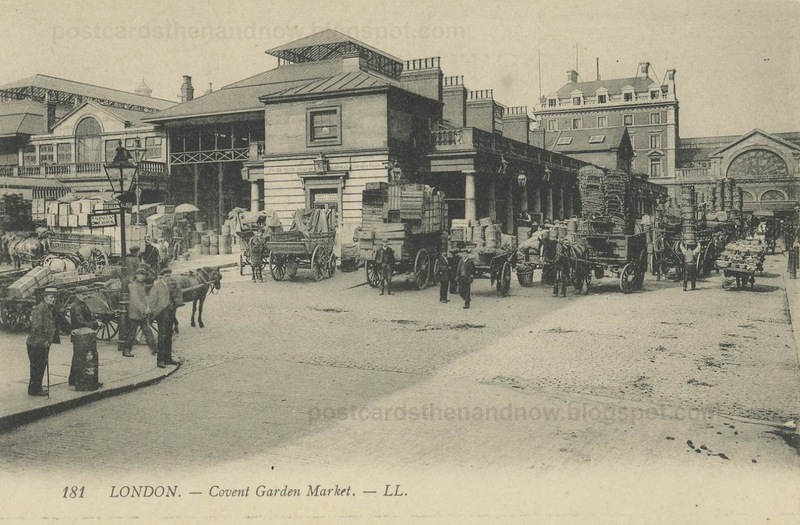 Covent Garden, London c1910. 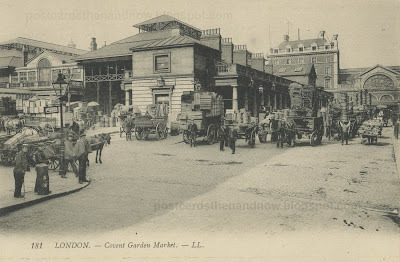 Covent Garden was one of London's main fruit and vegetable markets until the 1970s. It is now a shopping centre and tourist attraction in its own right and well worth a visit. It is also very close to London's theatreland. There are many clubs and bars, restaurants, shops and museums nearby and the Royal Opera House is also there. Postcard by the prolific publishers LL. Click the postcard to enlarge.